The Tourism & Transport Forum (TTF) has thrown its enthusiastic support behind NSW Premier Gladys Berejiklian’s unpopular scheme to rip down a well-known Sydney sports stadium and build a new one in its place. 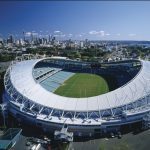 The Berejiklian government has decided to demolish the Sydney Football Stadium, also known as Allianz Stadium, as soon as possible – ensuring it is destroyed before the state election next March can return a government which would reverse the decision. 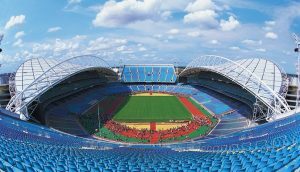 The stadium’s architect, Philip Cox, told the Sydney Morning Herald it was still “one of the great stadiums of the world”. It is just 29 years old but the Berejiklian government has signed a contract with developer Lendlease to demolish it and build a new stadium for AUD 730 million. The maintenance workers – plumbers, carpenters and electricians – at the Sydney Football Stadium and Cricket Ground were told yesterday they are likely to lose their jobs before Christmas. The Australian Labor Party, NSW Opposition, has already said it will not rebuild either the Sydney Football Stadium at Moore Park or proceed with an AUD 800 million upgrade to ANZ Stadium at Sydney Olympic Park. Instead, Labor has pledged to spend the money on schools and hospitals, if it wins government at the March election. 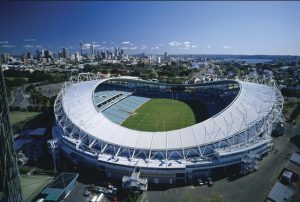 The Berejiklian government originally planned to knock down two stadiums, both comparatively new, and rebuild them a cost of about AUD 2.3 billion – but after strong opposition and protests over the eye-watering sum involved, it later scrapped its plan to demolish Sydney’s ANZ Stadium and rebuild it from the ground up. It decided instead to refurbish the ANZ Stadium (built in western Sydney for the 2000 Olympic Games). Sydney Football Stadium in Moore Park still faces the fast chop, prior to building a new version. After a decision like that, the Berejiklian government needs all the friends it can get. The TTF was swift to lend its support. TTF chief executive Margy Osmond said modern sporting infrastructure was a vital part of any global city. “We know that great venues attract great events, not just for tourists travelling for a once-off occasion, but also for locals heading along each week to cheer on their favourite footy team,” Osmond said. “Recent Tourism and Transport Forum polling conducted by Nielsen demonstrated that over 50% of New South Wales consumers wanted to see more investment by their State Government into attracting and hosting more major events. “On top of that, 50% believed that the economic impact on the host state was the most important outcome, followed by the promotion of what New South Wales has to offer to potential interstate and overseas visitors,” Osmond said. The real test of what voters think will come on 23 March 2019, the date of the next NSW state election. Sounds like the TTF has become just like the GSC: another tentacle of Government to ‘independently’ lobby and support whatever policy the Government has, regardless of community sentiment and sense.